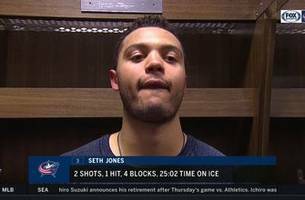 TAMPA, Fla. (AP) — Seth Jones scored the go-ahead goal on the power play to cap Columbus’ three-goal third period, and the Blue Jackets rallied to beat the Tampa Bay Lightning 4-3 in Game 1 of the..
Jones after the 4-1 loss in Edmonton. This week marks 8 years of civil war in Syria, and CBSN is taking a look at how ISIS has helped shape the conflict. Seth Jones is a senior adviser to the International Security Program at the Center.. 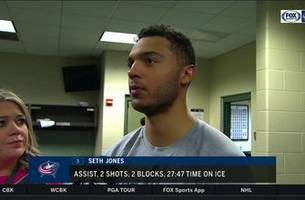 The NHL-leading Tampa Bay Lightning (32-8-2) host Seth Jones and Columbus Blue Jackets (24-14-3) for a two-game homestand.